Light SE and cloudy in the morning. Later more sunny the wind turned south around 15 and trapping conditions became poor after that. Nets open 06-15, netmeter hours approx. 3000. Ringed: Meadow Pipit 3, White Wagtail 2, Pied Wagtail 1, Dunnock 6, European Robin 31, Song Thrush 4, Common Blackbird 1, Willow Warbler 46, Chiffchaff 6, Pied Flycatcher 4, Common Starling 4, House Sparrow 3, European Greenfinch 3, Common Linnet 4. Total = 118. Also 6 controls, including a Willow Warbler from Belgium. Despite no more than 5 degrees in the morning, the first decent fall of tropical migrants started just after dawn. 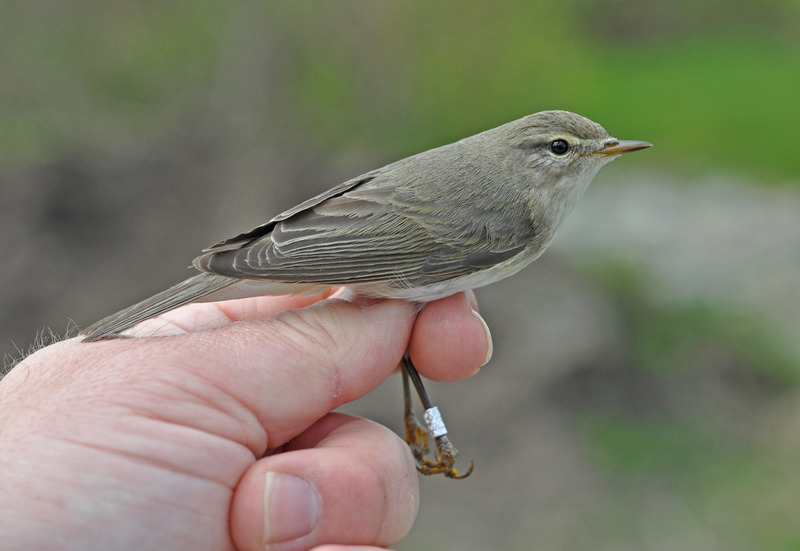 All the 46 Willow Warblers ringed today were males, and quite a few were greyish birds with dark legs like this one. Løvsanger. Ringmerket: Heipiplerke 3, linerle 2, svartryggerle 1, jernspurv 6, rødstrupe 31, måltrost 4, svarttrost 1, løvsanger 46, gransanger 6, svarthvit fluesnapper 4, stær 4, gråspurv 3, grønnfink 3, tornirisk 4. Total = 118. Også 6 kontroller, inkl. en løvsanger med belgisk ring. Pied Wagtail, 2cy male. Svartryggerle. 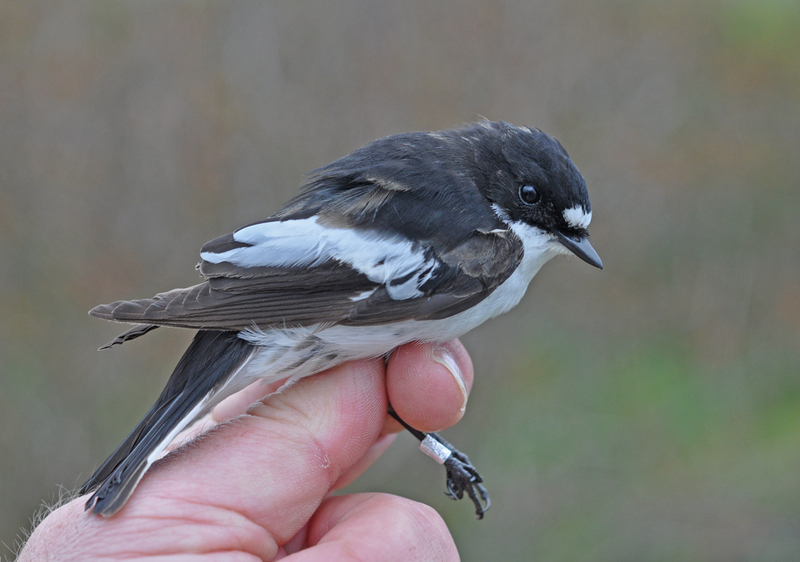 Pied Flycatcher 3cy+ male. 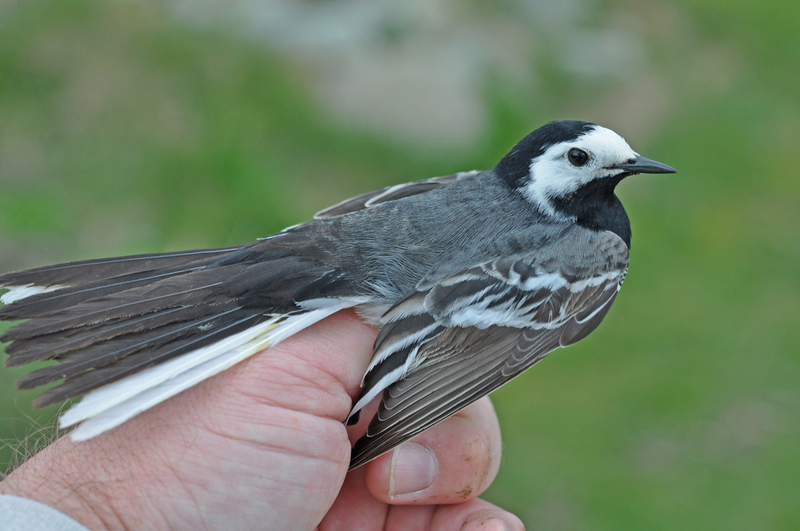 4 were caught, indicating a decent arrival of this species into Norway today. Svarthvit fluesnapper, 3K+ hann. Alf Tore Mjös and Morten Stokke. 1 visitor.